What are SDGs, the goals that can change the world by 2030? In September 2015, all 193 member States of the United Nations (UN) pledged to a commitment that may change the world in 15 years. All heads of State officially adopted the 2030 agenda for Sustainable Development, in which the Sustainable Development Goals (SDGs) are described. Since then, achieving all 17 SDGs is the role of Governments, companies and civil society. This huge cross-border commitment is comprised of 169 goals and they should meet 231 global indicators, meant to set an integrated standard between the three sustainable development dimensions: environmental, social and economic. “The new agenda is a promise by leaders to all people everywhere. It’s a plan of action for ending poverty in all its dimensions, an agenda for the planet,” said the UN’s Secretary-General, Ban Ki-moon, at the United Nations Summit on Sustainable Development who undertook the commitment. He stated that the 2030 Agenda is grounded on the Universal Declaration of Human Rights, the International Human Rights treaties, the Millennium Declaration, the 2005 World Summit results and the United Nations Conference on Sustainable Development (Rio +20). The 2030 Agenda, which outlines the 17SDGs, arose as an improvement and second stage of a global commitment for sustainable development, whose genesis was the 2000 Millennium Declaration. At the time, eight Millennium Development Goals (MDGs) were established, based on motivations similar to that of the SDGs, such as poverty eradication, food and agriculture safety, health, education, energy, water and sanitation. In the UN’s view, although its application had been faced with some challenge in certain contexts, the MDGs were successful, especially regarding the fight to end hunger and poverty. “Following profound and consistent gains, we now know that extreme poverty can be eradicated within one more generation,” said Ban Ki-moon in a statement. Latin America presented some of the most significant results: between 1990 and 2015, the rate of people living on US$ 1.25 a day fell from 13% to 4%, and population malnutrition decreased from 15% to less than 5%. 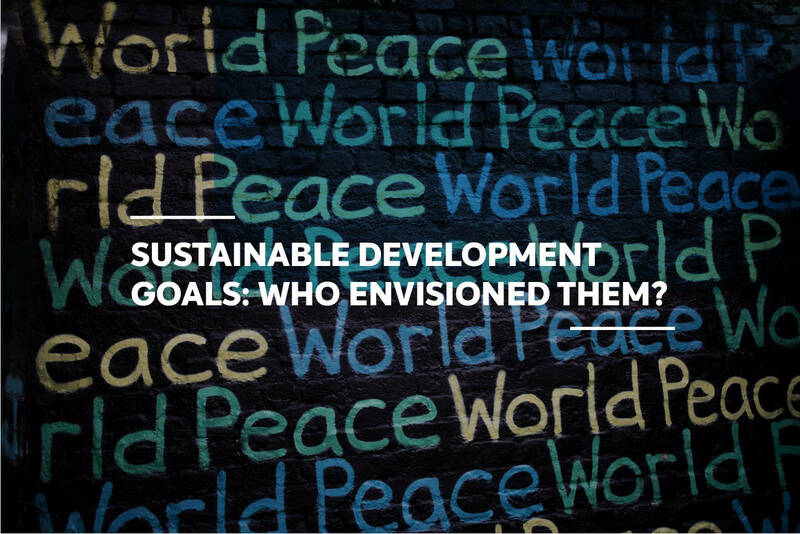 Sustainable Development Goals: who envisioned them? While results have been positive over the course of 15 years, the MDGs have been criticized for their unilateral shape: objectives and goals were set forth by the UN without previous broad discussions. As for the SDGs, the process was different, and more democratic. 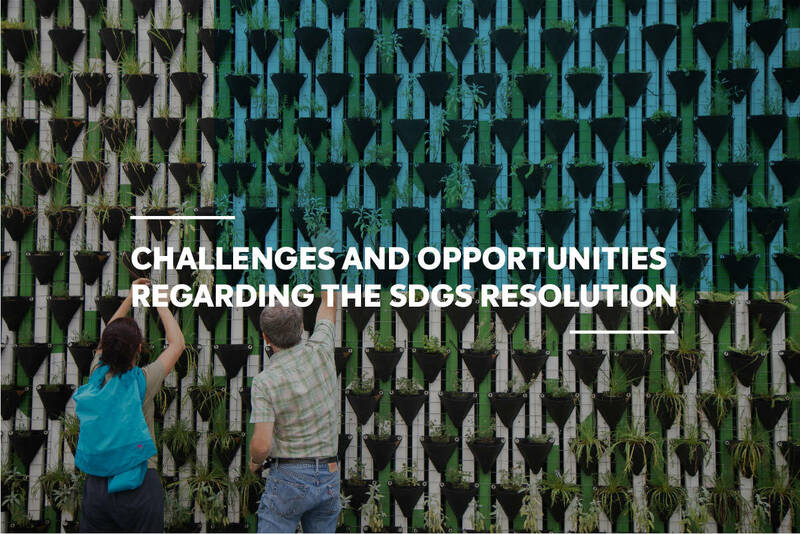 Setting new goals after 2015 was one of the outcomes arising from Rio+20, held in 2012. The event founded the first open-ended working group for the agenda project. This group had 70 representatives who exchanged regional and identity information and experiences. In parallel, the UN conducted a series of “global talks,” which included 11 thematic consultations and 83 door-to-door surveys, as well as opening the online survey My World to public comments and recommendations. The report with all 17 suggestions reached the UN General Assembly in September of 2014, when member states began meeting for the final draft. 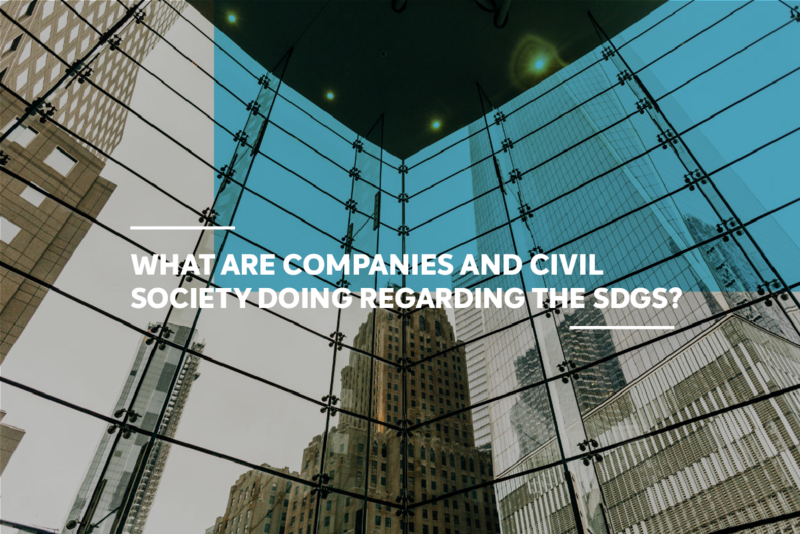 What are companies and civil society doing regarding the SDGs? Also, differently from the MDGs, the global policy for the SDGs conduction and execution involves effectively not only government, but also companies and the civil society as a whole. “Business is a vital partner in achieving the Sustainable Development Goals. Companies can contribute through their core activities, and we ask companies everywhere to assess their impact, set ambitious goals and communicate the results transparently,” stated Ban Ki-moon. A report elaborated by the Global Compact Brazilian Committee asserts that, from the 800 signatory companies, 41% of them already develop initiatives to meet their goals and 35% are already in the planning stage for operation adequacy. 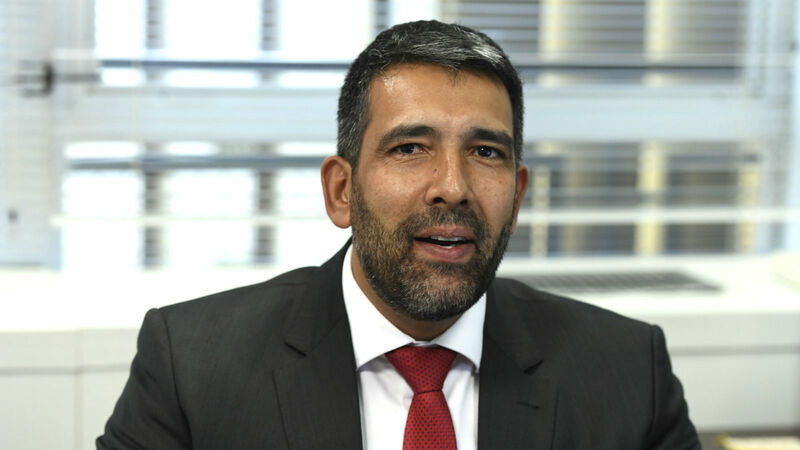 “Companies aligned with the SDGs have better competitive leverage, are better prepared to meet their customer needs and have a better relationship with society, government and public policies,” said Carlo Pereira, Global Compact Executive Secretary. “Global Compact helps companies understand and commit to the 2030 Agenda. They, in turn, should promote engagement of their employees so that they can become the SDGs ambassadors, so we don’t leave anyone behind,” he concluded. “Businesses are considerably raising their level of engagement to the SDGs, as they’ve noticed that this shift in the company’s mentality is inexorable. There’s clear evidence that shows progress,” ponders Marina Grossi, president of the Brazilian Business Council for Sustainable Development (CEBDS). “There, where the MDGs are presented, the business sector was cited only twice, while in the document that introduced the MDGs, it showed up more than 40 times. It might seem like just a detail, but it shows the importance of these parameters in the center of business decision,” she completed. “The SDGs are ambitious and carry a clear message for the private sector, which is the global sustainability agenda. Companies are willing to do more and the SDGs help companies to set goals connected to something higher, and align them globally. It’s a more efficient process for all,” explains Ana Carolina Szklo, Institutional Development Director at CEBDS. She cites a study showing that, globally, the union between private sector and other fields, such as agriculture, manufacturing and energy can represent the fulfillment of 75% of the goals laid down in the Paris agreement. In practical terms, one of the key tools for companies to act is the SDG Compass, a guide for the SDGs implementation in business strategy, developed by the UN’s Global Compact, GRI (Global Reporting Initiative) and WBCSD (World Business Council for Sustainable Development). The document states that, according to the business sector, the greatest SDG-related challenges are establishing partnerships, settling indicators and settling their own goals. The most relevant approaches for companies at this moment are related to the SDG numbers 8 (decent work and economic growth), 12 (responsible consumption and production) and 13 (climate action). And, although most of them (52%) already mentioned the subject in their public and official positioning, only 5% see the SDGs as a business opportunity. There are colossal problems to be fixed on the planet. Global warming is a reality and by not complying with the goals established in the Paris Agreement (2015) drastic and tragic transformations may occur on the planet. From a human perspective, to date, 1.2 billion people have no safe housing, and figures may climb to 3 billion by 2030, according to the UN. A study published in the magazine Nature points out that by 2030, in an optimistic scenario, only in Sub-Saharan Africa, more than 300 million people will be living in extreme poverty. Fighting for these causes is not only a government and business moral and ethical need, but also a great economic growth opportunity. According to the 2018 Gold Standard report, if the SDGs are fully met on schedule, 380 million new jobs will be created and at least US$ 12 trillion may be raised through new businesses. The same report brings a significant piece of data: research with more than 30 thousand consumers across 60 countries says that 66% of them would pay more for sustainable products and that they are aware of factors such as respect for human rights, as well as sustainable and organic-derived packaging. This is consonant with a survey carried out by 12 large companies, such as Siemens, Toshiba and Philips, who stated that sustainable products sell six times more than the average of overall sales, and also with an Unilever statement that its sustainable brands climbed 30% in comparison to its other businesses. Finally, a document discloses a study showing that companies actively working to reduce impacts on climate changes – such as Google and Apple, who use 100% renewable energy – have a return on investment (ROI) 18% higher than other companies. 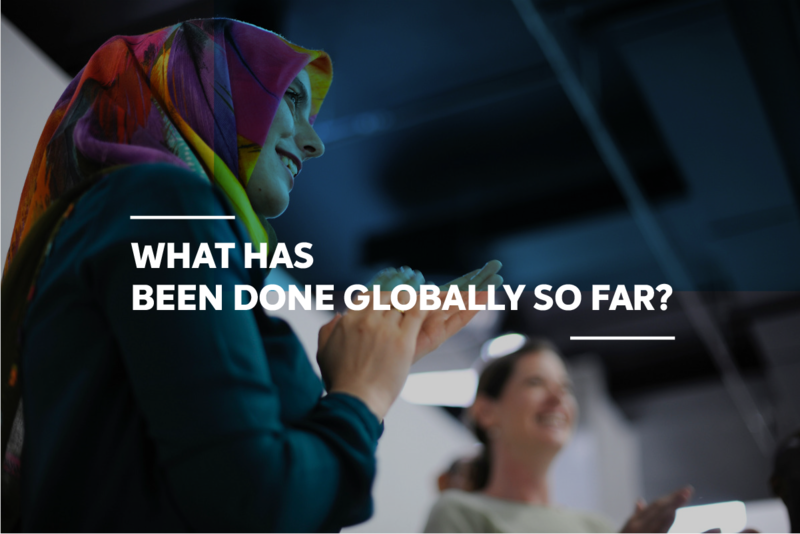 What has been done globally so far? 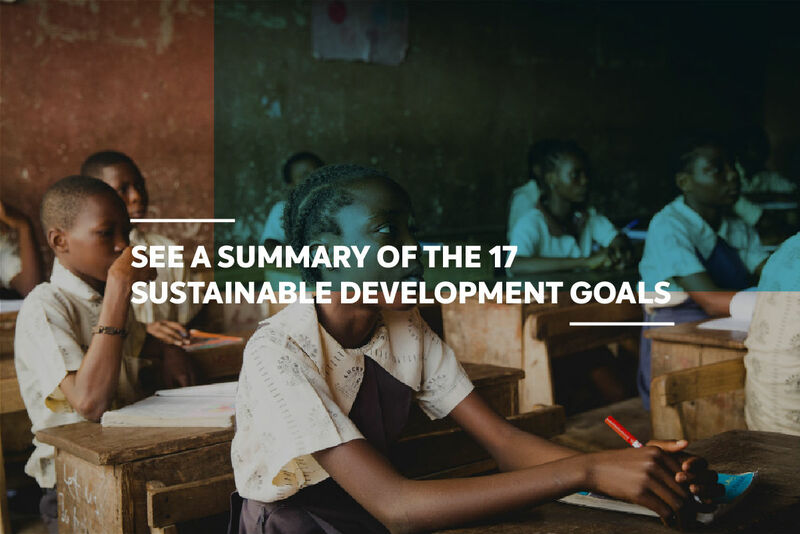 Europe – specifically, its Nordic countries – has taken the lead on the SDG 17 fulfillment. According to a global report by the World Economic Forum, only six countries went past the index 80-point mark (0-100 scale), meaning that they meet 80% of their best possible outcome. They are, respectively: Sweden (84.5), Denmark, Norway, Finland, Switzerland and Germany. “The idea is not to compare countries with vastly different development status, but to allow countries to benchmark themselves using a single holistic measure that encompasses all SDGs and treats each goal equally,” states the report. In fact, much is to be learned from the list top 3. Sweden is the main recycling reference in the world, where 99% of waste is reused, recycled or transformed into energy. Denmark strongly combats food waste and Norway, in addition to boasting the planet’s highest HDI, invests heavily in renewable energy – by 2020, it will have the largest wind farm in Europe. Brazil ranks 52nd, with a score of 64.4. According to the study, indices that pull the score down are related to corruption and safety – in the “safe walking at night” ranking, the county appears among the 10 worst scorers, with 39.5 points. Conversely, performance for poverty eradication and energy matrix based on clean and renewable sources are well ahead. 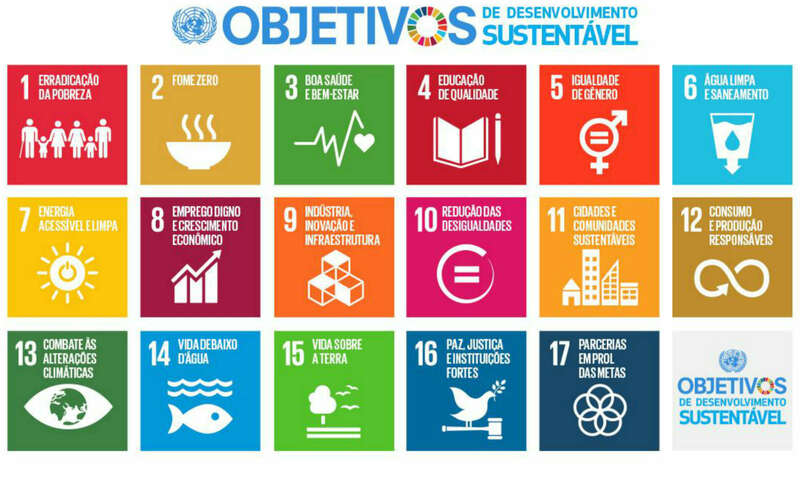 In the SDG Brazilian Report, the Federal Government has unveiled the country’s strategy, its focus being goals 1, 2, 3, 5, 9, 14 and 17, specially combating poverty. “The Brazilian challenge in narrowing our history of inequalities fully communicates with the 2030 Agenda action strategy,” stated the report. Ana Carolina Szklo emphasizes the Brazilian government efforts during the SDG proposal draft, which proposes a consistent model of partnership between State, private sector and individuals. The document also explains a project to bring the SDGs to smaller towns. This is considered the most efficient way to mitigate the regional, social and economic disparity across the vast Brazilian territory. At IBGE (The Brazilian Institute of Geography and Statistics) website, you can follow the country’s performance concerning each of the 231 SDG indicators in real time. At the UN website, there is a global table showing all indicators and all member states. 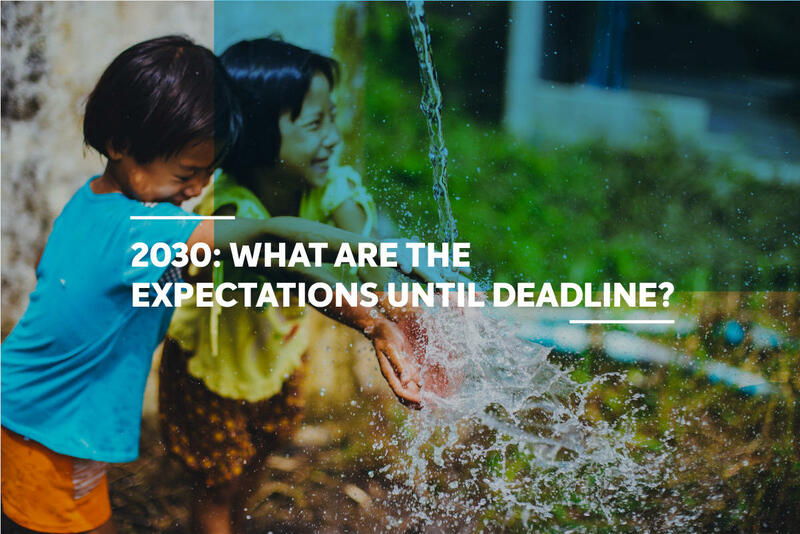 2030: what are the expectations until deadline? In just three years, a full assessment on the goals’ success performance is not possible yet. In places where poverty is extreme, combating hunger and misery is the priority. In polluting regions, policies aiming at water preservation and climate change action are the order of the day. The goals have a deadline, but they do not provide any type of bonus or sanction for compliance or noncompliance. The UN proposes a solidarity mechanism that may promote transfer of technology and knowledge from developed countries or companies to underdeveloped nations. Thus, a true global sustainable development is possible. “Even now, just three years after the announcement of the SDGs, the UN summit will meet to dictate new goals, objectives or indicators. It’s important to keep the strategy up-to-date,” says Ana Carolina Szklo. “By 2030, we should look well ahead into the future so we can design actions for 2050, for example, as it happens now with climate change,” she resumed. Goal number 1 aims to eradicate extreme poverty for everyone everywhere by 2030. Within this time frame, the expectation is to reduce by half the proportion of people living under US$ 1.90 a day, by designing solid political, regional and international targets that favor the poor and are sensitive to gender issues. The goal is to end hunger and ensure access to all, especially those under vulnerability conditions, as well as stamp out all forms of malnutrition – including fulfillment of goals for dwarfism and cachexia in children, pregnant and breastfeeding women and elderly. The strategy is to boost investment through international cooperation help, in rural infrastructure, research and extension of farming services. This goal aims to reduce maternal mortality rate worldwide to 70 deaths per 100,000 live births, neonatal mortality to less than 12 per 1,000 live births, and under-5 children mortality to less than 25 per 1,000 live births. Moreover, to end epidemics such as AIDS, tuberculosis, malaria and tropical diseases, preventing the abuse of harmful substances, such as alcohol and drugs, and reducing by half death and injuries related to road accidents. SDG 4: Ensure inclusive and equitable quality education, and promote lifelong learning opportunities for all. This SDG aims to ensure that children and young people have quality development from the first infancy until a quality technical, professional and higher education, cutting gender disparities and including disabled people, indigenous peoples and those under vulnerability. This can be achieved by building facilities and increasing the contingency of qualified teachers. All and every forms of violence against girls and women either at public or private level must end, including traffic, sexual and other types of exploration, and end any form of gender discrimination. This may be achieved through reforms that give women the same rights to economic resources and universal access to sexual and reproductive health. The goal is to achieve universal and equitative access to potable water and safety for all, as well as proper sanitation and hygiene, and also to protect and restore ecosystems related to water, including mountains, forests, wetland, rivers, aquifers and lakes. The strategy includes collection of water, desalination, water use efficiency, effluent treatment, recycling and reuse technologies. The goal is to ensure universal, reliable, modern and affordable access to energy services, increase share of renewable energies in the global energy matrix and double global energy efficiency improvement, via international cooperation processes for technology and research. It is expected to achieve at least an annual growth of 7% of the gross domestic product [GDP] in underdeveloped countries, and prioritize development-oriented policies that support productive activities, creating decent employment, entrepreneurship, creativity and innovation, and encouraging formal work and growth of micro-, small- and medium-sized companies. Labor laws should also be protected, as well as promoting safe work environments and adopting measures to eradicate forced labor, end modern slavery, human trafficking, and child labor. Intends to develop quality, reliable, sustainable and resilient infrastructure, plus inclusive and sustainable industrialization, supporting scientific research and improving technology capacities of the industrial sector in all countries, especially the underdeveloped ones. Aims to achieve and sustain an income growth of 40% of the poorest population at a rate higher than the national average and also to empower and promote social, economic and political inclusion of all, regardless of age, gender, disability, race, ethnicity, origin, religion or economic status. This must done via the regulation and monitoring of global markets and financial institutions. Determines guaranteed access for all to safe, adequate, affordable housing, and to basic services, as well as to urbanize slums, allowing access to safe, accessible, affordable and sustainable transportation systems for all and protecting and safeguarding the world’s cultural and natural heritage. For cities, the aim is to reduce negative environmental impact, particularly air quality, while improving municipal waste treatment. 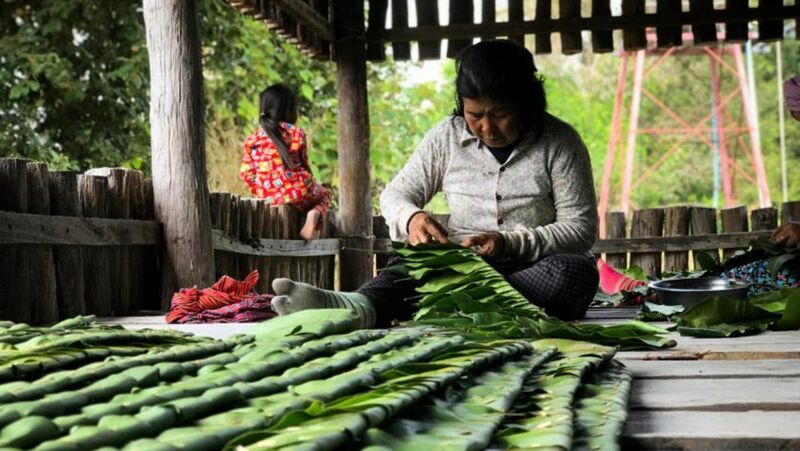 Aims to implement the 10-Year Framework of Programmes on Sustainable Consumption and Production and achieve sustainable management and efficient use of natural resources. Thus, it is expected to reduce by half the world per capita food waste and waste generation through prevention, reduction, recycling and reuse. Big and transnational companies must adopt sustainable practices and rich countries must help underdeveloped countries improve their scientific and technological capacities. Resilience and capacity to adapt to climate and natural catastrophe-related risks must be reinforced in all countries and promote measures relative to impact mitigation, adaptation and reduction and early warning on climate changes in national policies, strategies and planning. The United Nations Framework Convention on Climate Change (UNFCCC) is the body in charge of fulfilling this goal and it intends to mobilize US$ 100 billion a year starting in 2020. This goal aims, by 2020, to protect marine and coastal ecosystems to avoid significant adverse impacts, regulate waste collection, end illegal, unreported and unlicensed overfishing and destructive fishing practices and conserve at least 10% of coastal and marine zones. And by 2025, to prevent and reduce significantly all kinds of marine pollution, through scientific knowledge and marine technology transfer. 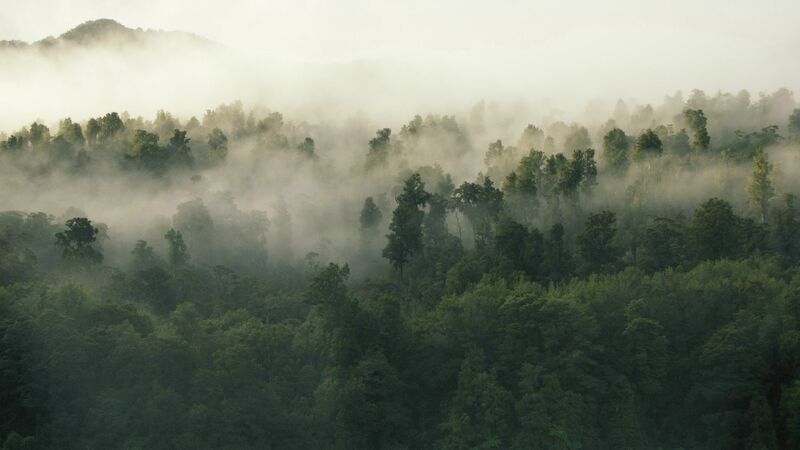 By 2020, this goal aims to ensure conservation, restoration and sustainable use of terrestrial ecosystems and freshwater, in special forests, wetland, mountains and arid lands, stop deforesting, restore degraded forest and increase afforestation and reforestation significantly. To this end, the strategy is to raise financial resources to preserve and use biodiversity and ecosystems sustainably and combat poaching and illegal trade of endangered species. It aims to reduce significantly all types of violence and related mortality rates everywhere, mitigate corruption and bribery in all their forms and shapes, end abuse, exploration, traffic and all forms of violence and torture against children as well as to promote the rule of law, at domestic and foreign levels, and ensure equal access to justice for all. This goal covers the implementation of the SDG in general based on thematic axes: finances, technology, education, trade, and systemic matters, such as political and institutional coherence, multi-sector partnerships, and accounting reports. 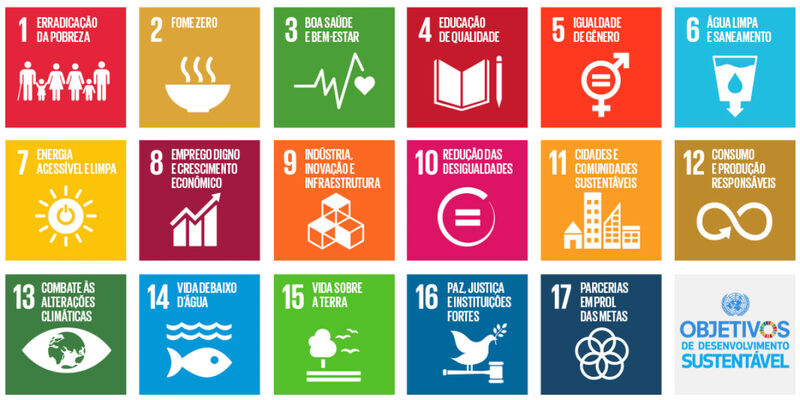 Braskem is committed to human and environmental values that are provided in the 2030 Agenda and establishes measures to help abide by the 17 Sustainable Development Goals. The company’s course of actions and planning were presented in the new Sustainable Development Global Policy. The main Braskem contribution for the advance of the SDG can be found in its Annual Report.